The set sells for $19.99 and is available now at comic and specialty shops. After all the teaser images, show appearances and reveals, it was nice to finally get my hands on this fantastic set. Today we have a gallery of over 65 high resolution photos for the Godzilla Minimates. Check out the photos and my thoughts after the jump. Walking Dead Minimates Series 6 Asst. You can see all of the photos and much more info on each item by reading on. 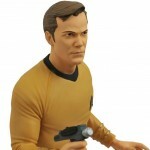 The 2″ tall figure will feature interchangeable parts. 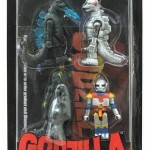 The Godzilla Minimates Series 1 set will sell for $19.99 and will be available at comic and specialty shops. 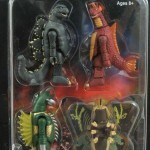 Look for Godzilla Minimates Series 2 in March 2015. Check out the photos after the jump. Check out images and more info after the jump.